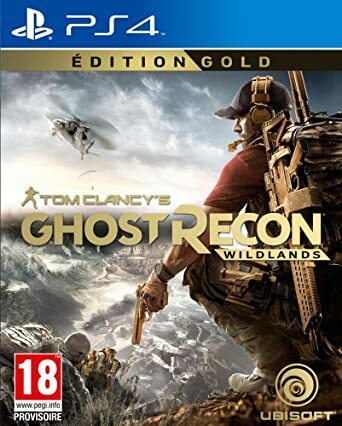 Description Ghost Recon Wildlands is a video game that belongs to the tactical action series Ghost Recon, and offers us a sandbox profile adventure in an open world, dangerous and reactive to the actions of the player. With the possibility of playing it individually or cooperatively with a maximum of three players, Wildlands invites us to participate in anti-drug operations in Bolivia, a country that has become the world's largest producer of cocaine in its parallel universe. The title, in fact, has had an important polemic behind them due to the official protests of the Bolivian government before the portrait that is made of the country in its history. In the world devised by Ubisoft, Santa Blanca's drug cartel dominates the nation and its institutions in what its main villain El SueÃ±o, rightly defines as a Narco State. Here the player teams, members of the legendary US special operations elite team. UU., GHOST, must break the alliance between the cartel and the corrupt government. Hello , what is the content DLC ? Narco Road and Fallen Ghost , Predator ?